I was poking around in my stash for something else entirely when Nicole by OPI Brilliant Idea was suddenly just...there. No clue why, and I thought I'd put it away. Sometimes good things come from a mess. Brilliant Idea is such a wonderfully odd lemon-lime color that I couldn't resist it when I found it at Five Below last year. It sat untried until today. The moment I saw it, I knew just what to do. 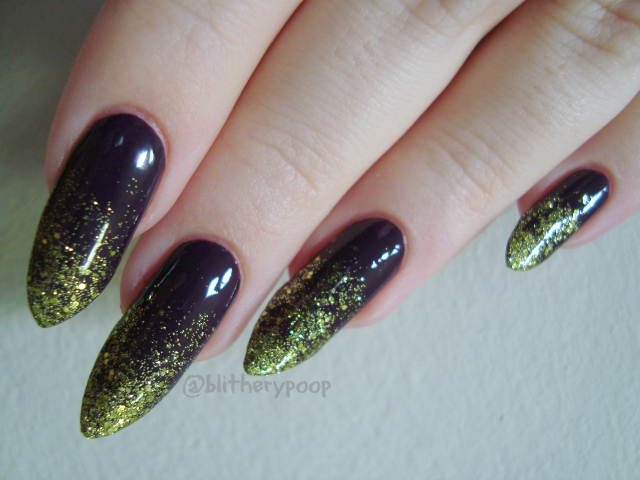 I grabbed it and Sally Hansen Bewitching and did a glitter gradient. Bewitching was a happy random find too, at a local flea market. It's such a perfectly vampy purple! I don't know why I don't do glitter gradients more often! Gorgeous! Brilliant Idea is a fave of mine. 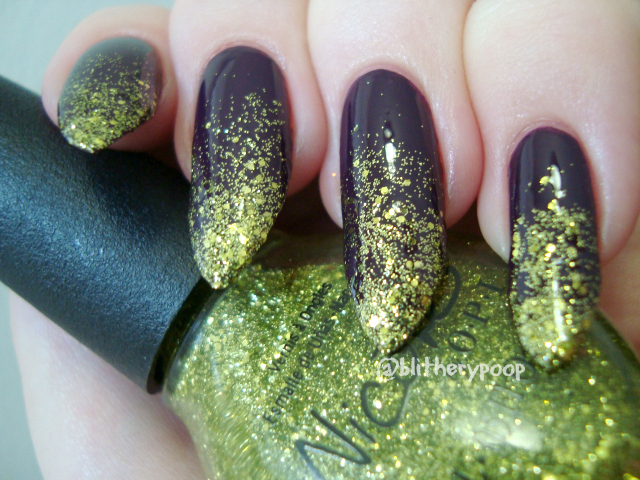 It looks like your nails were dipped in a potion!